Does Your Baby Have Tummy Troubles? As moms, we all want to give our kids the very best in life and this begins even before we see those two little lines appear on the stick. We may have already started taking better care of ourselves even before this by taking a prenatal vitamin or changed other aspects of our lives to create the best environment for our baby to grow. We all want to set the stage for optimal baby developmental milestones from day one and most of us know nutrition plays a major role. If you are concerned your baby is not progressing as expected, please contact a healthcare professional for help. STARTLE REFLEX- You’ll see your baby jump or become startled when there’s a loud noise or when they experience a falling sensation. GRASP REFLEX- Your little one will naturally try to grab onto things like your finger or other objects that are placed in their hands. SUCKING & SWALLOWING REFLEXES- These are probably some of the most critical reflexes at this stage because they allow them to find and secure their source of food, ie breastmilk or formula. STEPPING REFLEX- While your new baby can not actually support their own weight yet, they’ll still have the natural desire to step when placed on a flat surface. It’s at this stage in your baby’s development that you start seeing their little personalities come through. They’ll start transforming from being a completely helpless newborn into a responsive infant. Most of their reflexes are now turning into conscious efforts. Their vision begins to dramatically shift and they become increasingly more aware and curious about their surroundings. It’s during these baby development milestones that you’ll see many motor skills increase including reaching out and batting at things, they’ll push their legs down on things, they can follow moving objects with their eyes, they’ll start cooing or making other small noises and you may even start getting little smiles! As your little one continues to grow, keep in mind that a quality vitamin D supplement promotes calcium absorption that helps your baby continue to develop those healthy bones and adorable teeth! As your baby begins to explore their world more and more, adding the nutritional components of a probioticcan have a great impact on their overall immunity and health. * While you know you can’t keep bad germs from getting to your baby, you can give them extra support for their immune system with a probiotic, plus reduce occasional digestive upsets like diarrhea and other tummy troubles. * Colostrum is an important piece of this immunity because it provides a complete range of antibodies for immune support well beyond those first few days of life. Looking for an easy-to-use probiotic powder with the added benefit of colostrum? Click here to try a Free Sample from UpSpring. It’s at this time in your baby’s development milestones that you’ll notice their increased independence. They continue to gain more mobility and are increasing interested in things with moving parts. Their verbal skills grow exponentially, with most babies saying ‘ma’ or ‘da’ which eventually turn into ‘mama’ and ‘dada.’ It’s during this period that your baby’s brain wiring is continuing to grow rapidly and one important contributing factor to development is ensuring proper oxygen delivery. The main component in the oxygen delivery system is hemoglobin, which is a protein in red blood cells. In order for our bodies to make hemoglobin, we need iron. Usually, solid foods are introduced around 6 months, but according to the CDC, “50% of babies are still breastfed at 6 months. This is important to note because, while babies get the iron they need from their mothers during the last trimester of pregnancy, that iron store only lasts until about the age of four months. Some moms begin to introduce solid foods (a source of iron), while others choose to exclusively breastfeed for a while longer. If this is the case, your pediatrician will likely recommend supplementing with an iron supplement. If you are still asking “Why do I need to give my baby an Iron supplement?” Great question! According to this clinical report: “Breast milk contains highly bioavailable iron but in amounts that are not sufficient to meet the needs of infants older than 4 to 6 months.” However, the cliff notes version is that your baby’s body is constantly regenerating and creating new red blood cells through complex biological processes and they need iron to complete this regeneration process! Even babies that are eating solid foods are likely not getting enough iron, as it is still one of the most common nutrients that people are deficient in. According to the World Health Organization, iron deficiency affects as many as 30% of the world’s population. Learn some of the best ways to make liquid iron supplements for baby taste better. The first year of a baby’s life is full of excitement, firsts and a few scares. That’s why it’s good to know which baby development milestones your little one should be on and how best to provide both physical and nutritional support during this time. No baby develops exactly the same as the next, which is why it’s all that more important to provide a consistent, strong nutritional foundation for your baby and their growing needs. 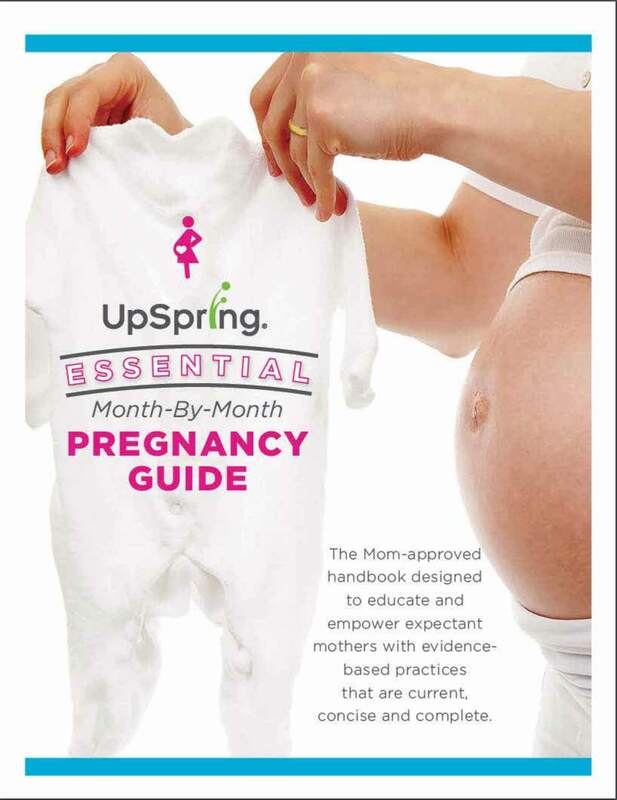 At UpSpring are on a mission to make parenting more fun by taking away some of the worry. We were founded by, and are run by moms, so we know just how wonderful, challenging, beautiful and scary motherhood can be. Congrats on making it through the first 12 months. Now onto the next exciting chapter!